Thanks to Fox News for this photo of Sgt. Martland. 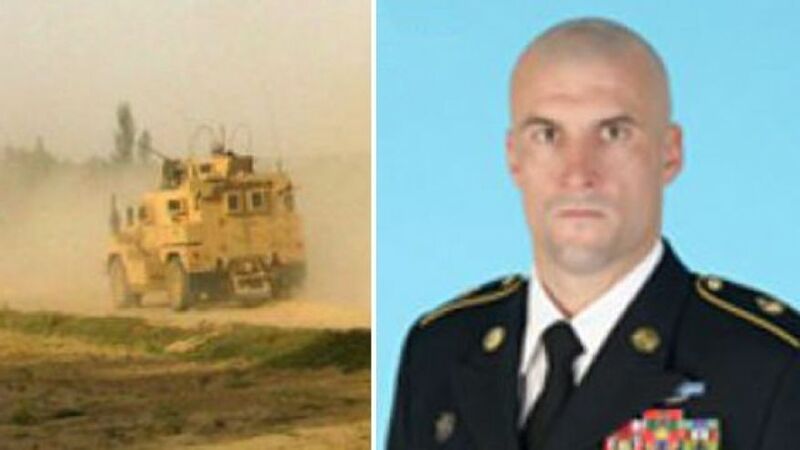 Call Congress to insist the Sargent be reinstated. “In his last phone call home, Lance Cpl. Gregory Buckley Jr. told his father what was troubling him: From his bunk in southern Afghanistan, he could hear Afghan police officers sexually abusing boys they had brought to the base. ‘At night we can hear them screaming, but we’re not allowed to do anything about it,’ the Marine’s father, Gregory Buckley Sr., recalled his son telling him before he was shot to death at the base in 2012. He urged his son to tell his superiors. ‘My son said that his officers told him to look the other way because it’s their culture.’ Rampant sexual abuse of children has long been a problem in Afghanistan, particularly among armed commanders who dominate much of the rural landscape and can bully the population. The practice is called bacha bazi, literally ‘boy play,’ and American soldiers and Marines have been instructed not to intervene — in some cases, not even when their Afghan allies have abused boys on military bases, according to interviews and court records. True to the New York Times habit of covering for the Obama administration, it should be noted that several sources (Military.com, the Daily Beast, and others) have asserted that the Sargent is being removed without pay or benefits (far from “retired”). As reported in the following 21 September 2015 Fox News video, Barack Hussein Obama appointed the first openly homosexual Secretary of the Army. Although I would not suggest that Christians violate God’s commandment regarding loving our enemies, I also would not suggest that any person who is unrepentant of known sin (whether it is a pastor who has used prostitutes or a layman who has participated in the just one of things named in 1 Corinthians 6:9-11) should be lifted up and celebrated as Obama celebrates Mr. Fanning. Having said that, I also would not ally myself with anyone who would assign the death penalty to homosexuals or even suggest that homosexuality might be an unforgivable sin.